By covering up banal pedestrian fixtures, Sticker Lady has exposed a divide. As soon as she was caught, some labelled her a vandal, lumping her with brats who seriously damage public property for no apparent reason. But that ignores both the impermanence of her work and the laughter her cheekiness provokes. Others try to vilify her by taking her art to its logical extreme, creating, for instance, photoshopped images of her stickers covering traffic lights, implying that the police had nipped in the bud some adhesive monster. But any idea taken to the extreme can be dangerous. Still others have suggested that all “art” in Singapore requires approval. This misunderstands the very nature of art. One of the greatest counter-culture art festivals in the world, Burning Man, began in 1986 when 20 people burned an effigy on a beach without approval. Today, it draws some 50,000 people annually. Artists, creators and innovators live on the edge of society, pushing our collective boundaries. By boxing them up, Singapore clips their wings. Perhaps the most romantic aspect of Sticker Lady’s art is that it is truly Singaporean. One needs to be steeped in local culture to really grasp the nuance of “kancheong”. As Singaporeans struggle with an identity constantly in flux, pulled this way and that by global currents, it is wonderfully refreshing to encounter random reminders of what it means to be Singaporean. Of course Sticker Lady must be punished, just like other public performers who break rules. But how so? If we let Singapore’s supposed vulnerability guide our instincts, then we might retreat to the pragmatism and safety of strict vandalism laws. Because we have to show that we treat all “vandals” the same, that we tolerate no nonsense, as we preserve the sanctity of our hallowed streets. But we would miss a few opportunities. First, to show that, as a thinking, tolerant society, we know how to differentiate between alleged annoyances and criminals, rather than tarring all with the same brush. Second, to encourage people who want to push boundaries in a considered way—whether they be in business, civil society or art—to go ahead and do so. Third to acknowledge that, while we will always be a country run by the rule of law, we are compassionate and educated enough to periodically negotiate its application. The way we treat Sticker Lady will reflect how far (or not) we have come. 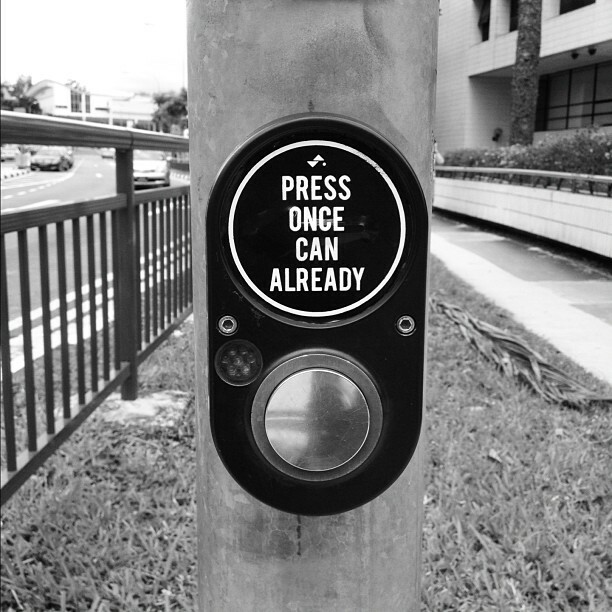 Ordinary Singaporeans will take their creative cue from the top. So, let’s slap her on the wrists and then pin a medal on her.